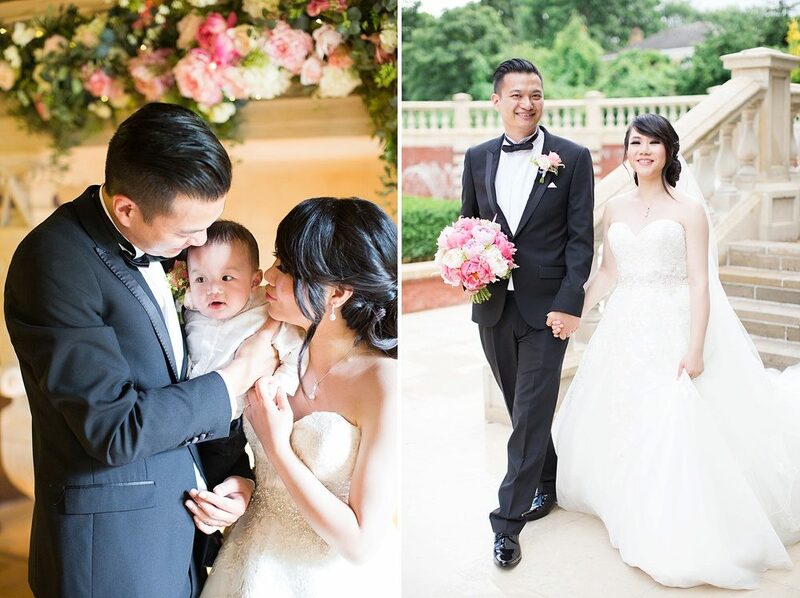 There are so many gorgeous details in this mornings wedding that I don’t know where to begin. Every single element of the day is beautiful, from the flowers, to the food, to the fashion. 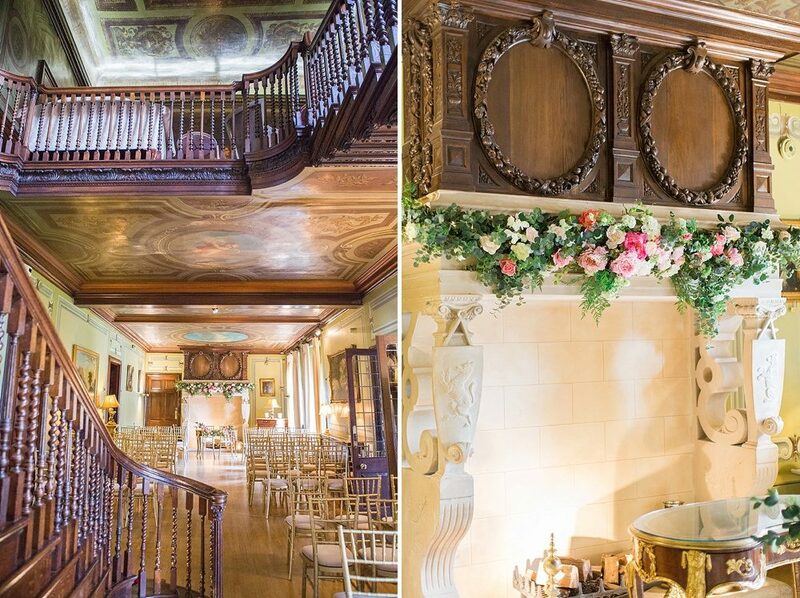 Thily and Wain chose the stunning Fetcham Park to hold their wedding day, which is home to one of the most incredible staircases I know. The dark wood, ornate bannisters and incredible murals make it truly one of a kind, the ultimate way to make an entrance. 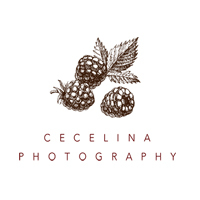 Images come from the lovely Cecelina, whose soft, fine art style Thily and Wain fell for. The result? A stunning set of images they can treasure for the rest of time. Thily the Bride: I always loved the idea of a big flowing dress and being quite petite I knew such a dress would give me the illusion of being a bit taller. My sister recommended me her dress shop Losners Bridal and on our very first visit I found the dress! It was the very first dress that the assistant brought out, I instantly fell in love with it. A Mori Lee crystal embedded ball gown. It was simply beautiful and was exactly what I was looking for. Paired with glittering gold shoes from Kurt Geiger and a long veil I was sold! I have very thick long hair so I wanted to wear my hair up because of the volume it would give, my hair and makeup artist Sham Same did a fantastic job in creating the look I wanted. 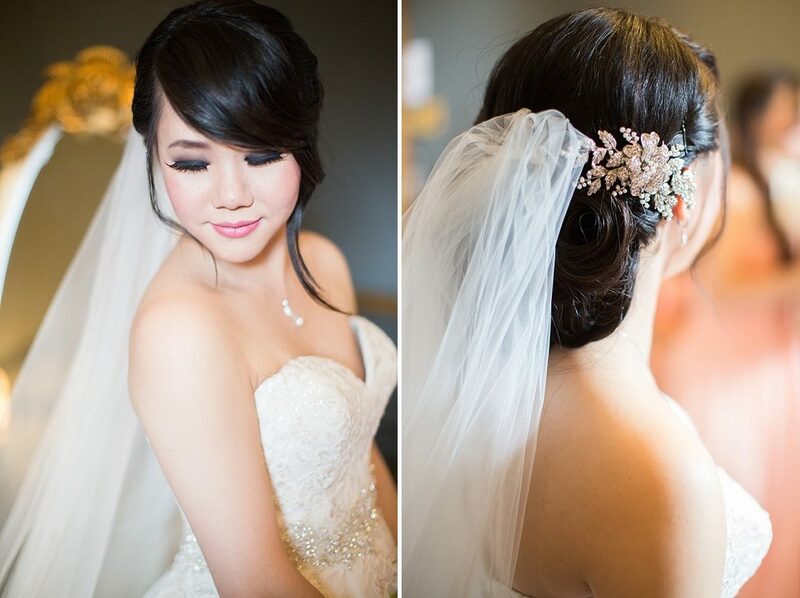 Accessorised with a simple side hair clip from Glitzy Secrets it was the perfect look. I’m not one for wearing jewellery and so I wanted to keep it to a minimum opting for a Swarovski necklace and earring set gifted to me as a birthday present from close friends earlier in the year. Wain decided to go for a slim fit Ventuno black tuxedo with silk textured lapels and matching bow tie. For the footwear he chose shiny Dobell contemporary dress shoes. 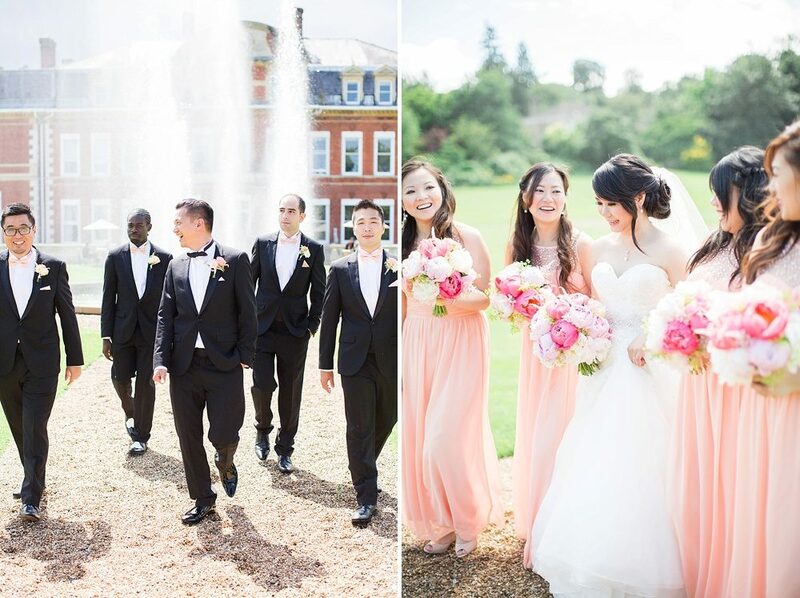 I knew exactly what colour I wanted the bridesmaids dresses to be – blush pink, which I felt would provide the perfect complement to our punchy flower scheme. I found the dresses on Little Mistress. They were maxi dresses which I fell in love with. Not only were they comfortable but were super affordable. For the groomsmen we opted for slim fit Ventuno black tuxedos from Moss hire with matching blush pink bow tie. I have always been fascinated by fine art photography, it is more than just photography, is a piece of art in it’s own right. Something beautiful and timeless that you’ll want to look at over and over again. Cecelina was recommended to us by another photographer and we instantly fell in love with her style. Her work is like stepping into a dream, her use of light to create stunning bright elegant, romantic images was exactly what I was looking for. On the day, time was taken to pose us in a flattering and natural way, and special attention was paid towards elegant details. We aren’t natural posers so Cecelina’s approach to giving us space and subtly stepping in with creativity directions when needed made the whole experience comfortable and memorable. The results she produced were truly breathtaking. She captured 15 years of love in one day. 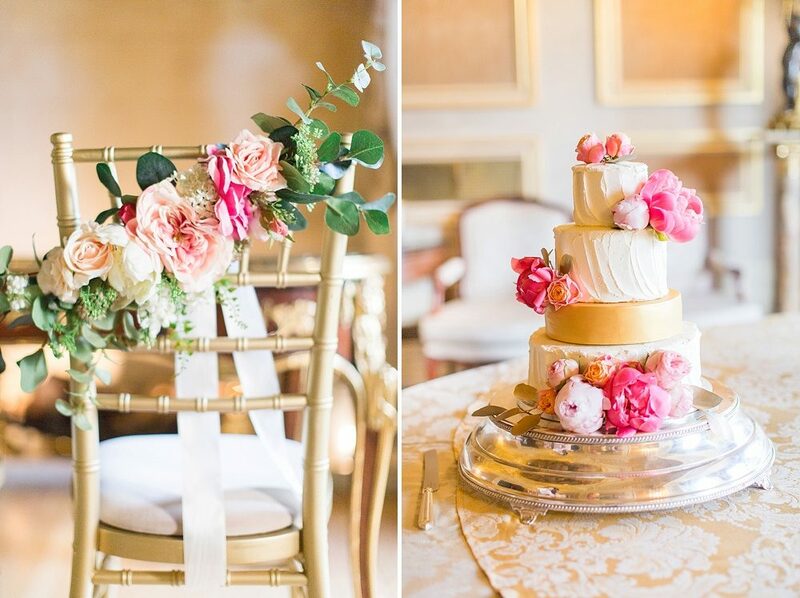 We couldn’t have asked for better wedding venue than Fetcham Park. We came across the venue online and on our very first visit immediately fell in love with it. Hidden away amongst gardens and fountains stood the most stunning historic building. Stepping inside the house, I had one of those ‘oh my goodness’ moments. We were captivated by its breathtaking architectural details especially the grand spiral staircase leading to the Great Hall, the exquisite chandelier in the salon and the stunning French murals. We love how grand yet intimate the house was. I knew it was the perfect backdrop for our wedding. 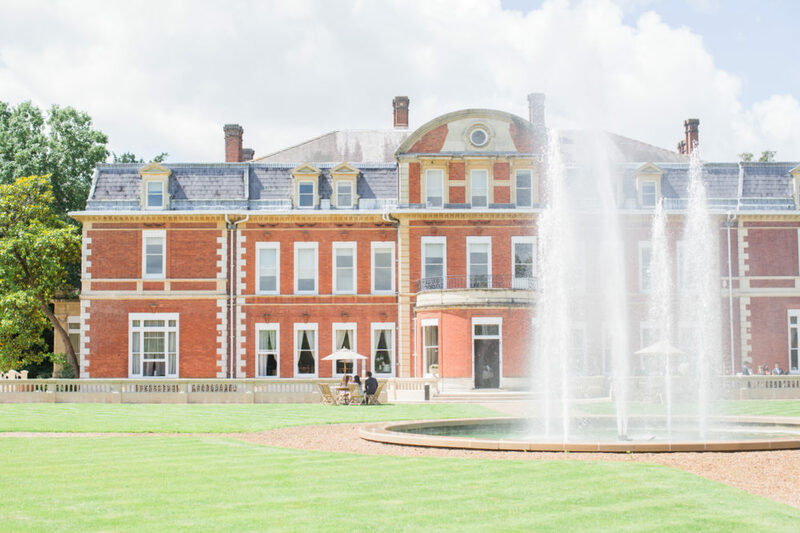 I didn’t really consider a wedding planner for our wedding, but when we were told one would be supplied as part of the package from Fetcham Park we were delighted. In fact I don’t know how we would have coped without Anna Macdougal! She was amazing to work with, her energy, calm, organisation and personality were all so infectious. She helped make the whole event run super smooth both on the day and the lead up. I absolutely love beautiful fresh flowers and knew we had to get them for our wedding We chose Steph Turpin from Fairy Nuff Flowers to work with, she was one of fetcham’s recommended suppliers, and I couldn’t have been happier to have her as our florist. 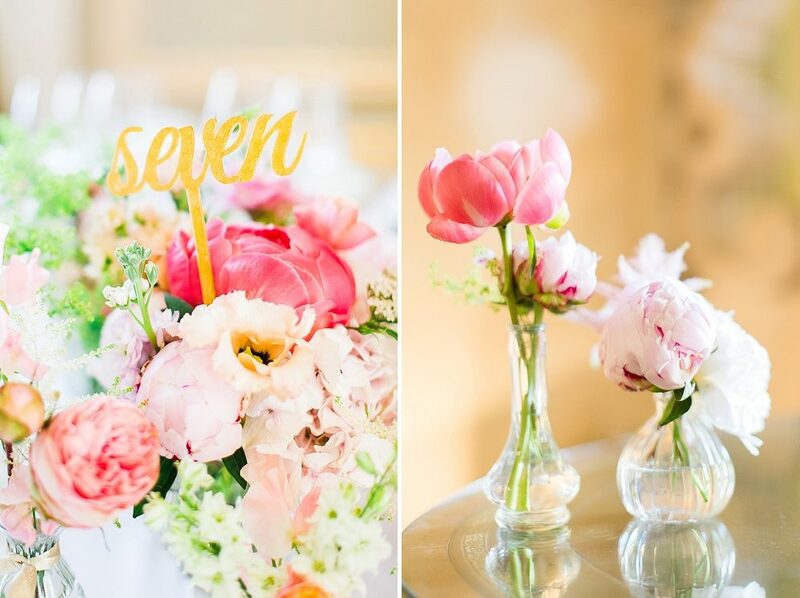 Steph created the most stunning table centre pieces, bouquets, buttonholes using all of my favourite flowers – hydrangeas, peonies, Coral Charms and other pink, peach, coral and ivory blooms. We also got Steph working with our second florist Anna Robinson from Friend of Faux who specialises in big bespoke urns and garlands. Fetcham was transformed into the most breathtaking venue. 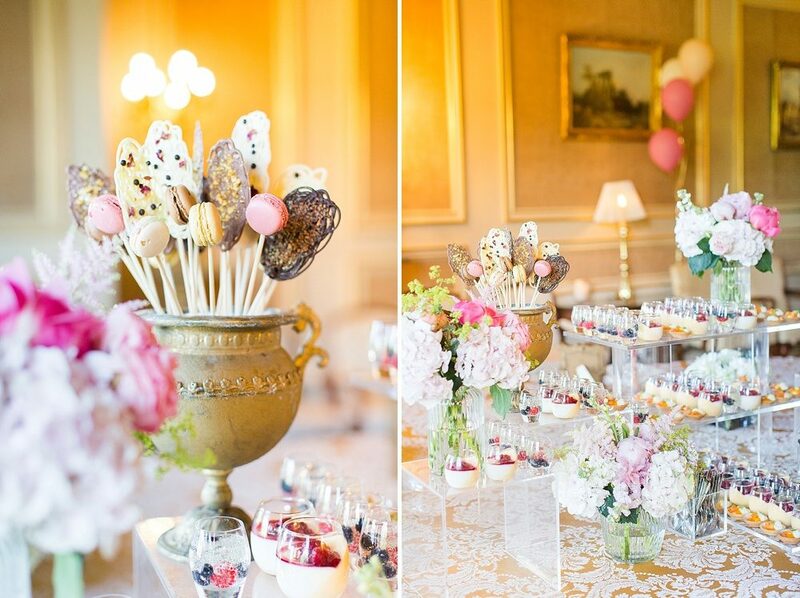 Not only did Fetcham park come with a wonderful wedding planner it also came with an exclusive Laura Loves supplier list and on this list was the wonderful Kalm Kitchen. We chose Kalm Kitchen after discovering some of their amazing and creative online food photos on Instagram. Wain’s a massive foodie so it was important for us and our guests that the food was delicious, unique to us and well presented. I can happily say they delivered on every aspect. The pre-meetings and tasting session were really useful, a 2-to-1 with the chef, where we were taken through the dishes we chose and how it all went together, along with all our alternative options. Our requests for things like lobster where also met which was amazing. Service on the day was fantastic, their experience really showed and they handled everything seamlessly. 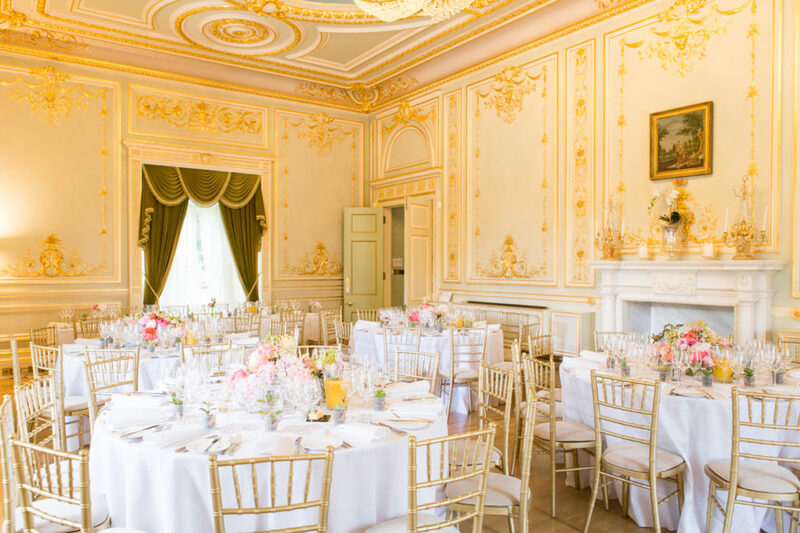 As they are one of the regular suppliers to the venue, they really understood the timings, space and design of Fetcham Park. 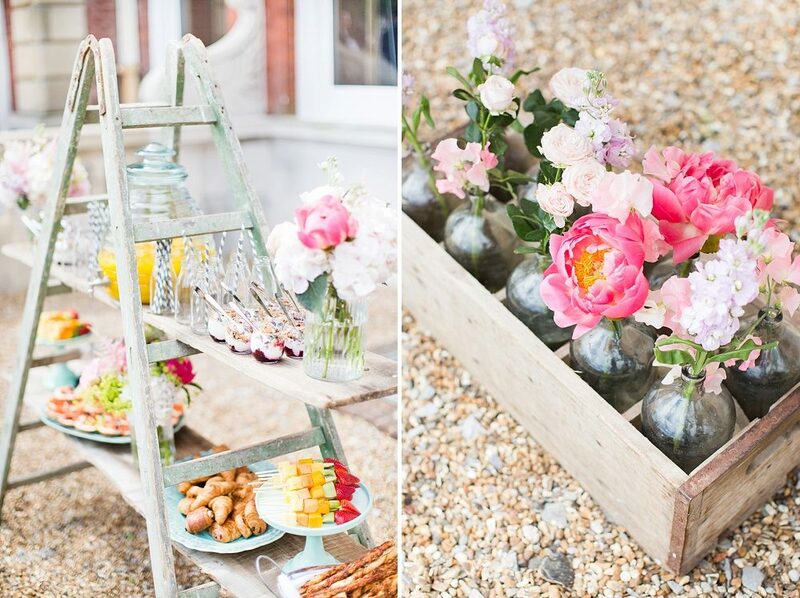 In the morning we opted for a brunch for our morning guests which was wonderfully presented on ladders. We also had a patisserie bar and coffee station which was served along with the wedding cake by Karrenanna in the evening. The display was simply beautiful with so much attention to detail. We opted to supply all our own alcohol for the event and for the evening bar, it was great that both Fetcham Park and Kalm Kitchen were able to cater for this. We took drink requests before the day and added a few of our personal favourites to the list. For favours we went for gorgeous mini succulents, which Wain and his brother Ken picked up from New Covent Garden flower market. We replanted them in little glass jars and finished them off with a hand written name tags. 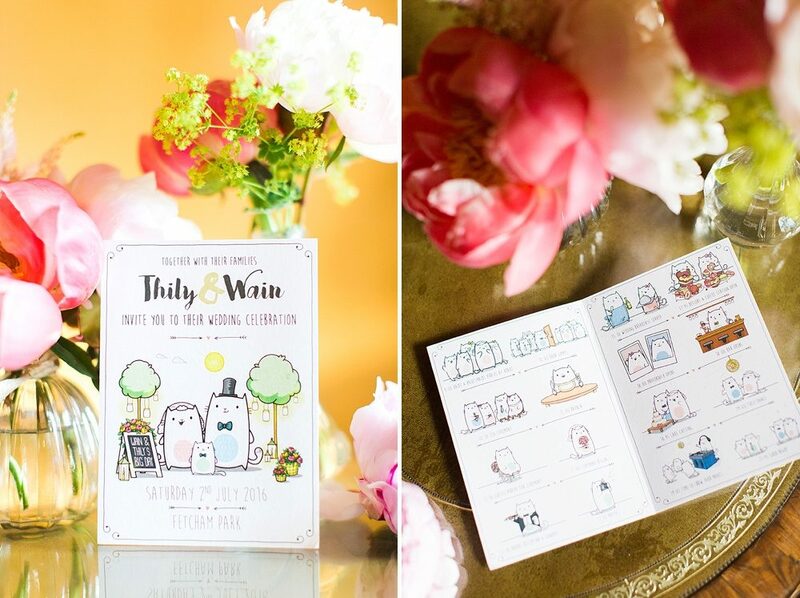 We had loads of fun designing the invites ourselves, it made sense as I love illustration and crafts and Wain is a designer. We created them together with our own little cute cat avatars and got them printed on 300 GSM card finished with a hand tied bow. A lot of people commented on how lovely they were and that they really reflected our personalities. For evening entertainment we went with Matt Maurice who was a recommended supplier. He had a great variety of options in terms of transforming the Great Hall into a dance floor including an amazing mirror ball and we were able to take music requests from our guests prior to the night. We also ordered giant light up letters ‘T&W’ from Vowed and Amazed to help compliment the dance floor. We had super popular photo booth supplied by Mr Photo Booth, the great thing was we got in touch with the owner and Wain being a designer he was able to design our own photo template. So we added our own little characters as well as wedding lock up. We partnered the booth with the guest book to make sure we got a book full of wonderful messages.